The Power Oxygen Facial is perfect for asphyxiated, stressed skins that need to detox. Also for those who live or work in polluted urban areas. The pollution and lack of oxygen are two great enemies of the skin. Allowing too much pollution to enter the skin over time leaves the skin defenceless, and it loses its natural ability to detoxify and regenerate. Reduced oxygen entering the skin means that the cells cannot produce much energy to hold their vitality! One of the most harmful air pollutants for our health is PM 2.5 suspended particles, (up to 20x smaller than the size of a pore) which is caused by human activity e.g. Driving cars. Skin under the effects of pollution show signs of dehydration, lack of luminosity, premature wrinkles. No uniform to the skin, pigmentation, rough texture and flaccid skin. It can be more reactive, redness and irritation, breakouts or acne. Instant hydration clinically tested to provide 100% hydration for 24 hours. and includes facial massage and Mesotherapy. Power Hyaluronic – Balances the skin’s natural hydrodynamics, obtaining an optimum degree of hydration = more comfortable skin, properly hydrated with a softer appearance. Hyaluronic acid (HA) is a natural component of the body. Its main objective is based on capturing and retaining moisture in the skin. The Eye contour is one of the first areas where skin ageing is most visible, Wrinkles and the appearance of signs of fatigue. The Mesotherapy Eye and Lash treatment combats all theses problem signs of ageing. Using latest generation of Eye Lash strengthening and Thickening ingredients to promote the growth of thicker and fuller lashes. Treatment is combined with a Lymphatic Eye Massage utilising metallic lifting probe technique to treat under the eye, the eye lid and eye brow contour. A unique treatment at Essencia only! Course of four to eight treatment for best results. 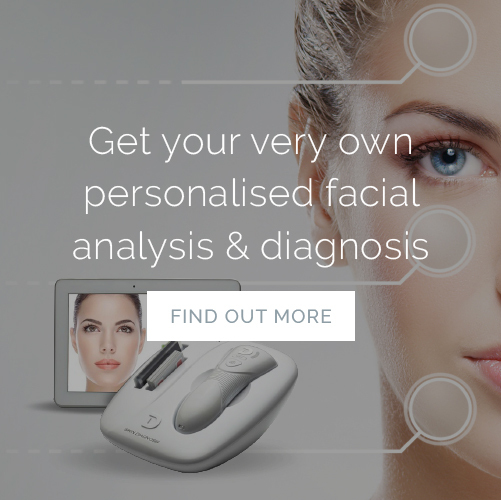 An advanced treatment for ageing, sagging skin. Focuses mainly on the neck, jowls and cheek area, using Gene technology within the cell nucleus. Helps plump and restore ageing and tired skin. Award-winning treatment for the most innovative ingredient and treatment for 2012. Recommended minimum of 6 treatments. A Non-invasive alternative to Injectables. Delivering Hyaluronic Acid at cell level to smooth and firm lines and wrinkles, whilst providing an instant lift. Recommended minimum 6 treatments and a maximum of 20. Our Eternal Stem Cell Facial is designed to offer an overall regenerating cosmetic effect providing an effective, long lasting anti-ageing treatment. Containing highly coveted plant origin stem cell nanoliposomes, promoting the production of epidermal stem cells, whilst protecting them against environmental stresses such as harmful UV rays. A course of 10 treatments, 1 per week is recommended for optimal results. New from Skeyndor, Corrective is the ultimate non-invasive treatment, utilising medical grade branched chain Hyalauronic acid, encapsulated in Nano technology for the deepest penetration to fill expression lines, in conjunction with synthetic Viper venom, which affects the ability of the muscle to contract, providing a Botox like effect, without the pain and discomfort associated with needles. 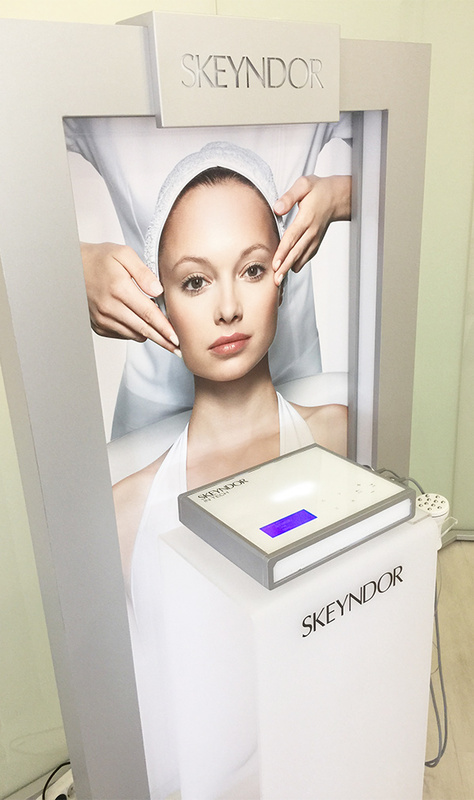 Corrective from Skeyndor also contains the latest generation peptides, to plump and lift the skin. Treatment duration is 1 hour and a minimum of eight treatments are recommended, with monthly maintenance thereafter. Homecare products should be used to enhance results. A course of six treatments, two per week for three weeks is required every four months to maintain the effect. Three muscle relaxing Peptides penetrate the skin to the deepest levels to give a Botox like effect. Bio Peptides modulate and stabilise the skin, giving a micro and macro lifting effect. Areas to be treated in each session, forehead, eyes, top lip and jowls. Mesocosmetic treatment formulated for lightening areas of skin with hyper-pigmentation. Its active ingredients balance colour and soften dark spots. Its high contents in vitamin C helps brings light and leaves the skin looking even and radiant.